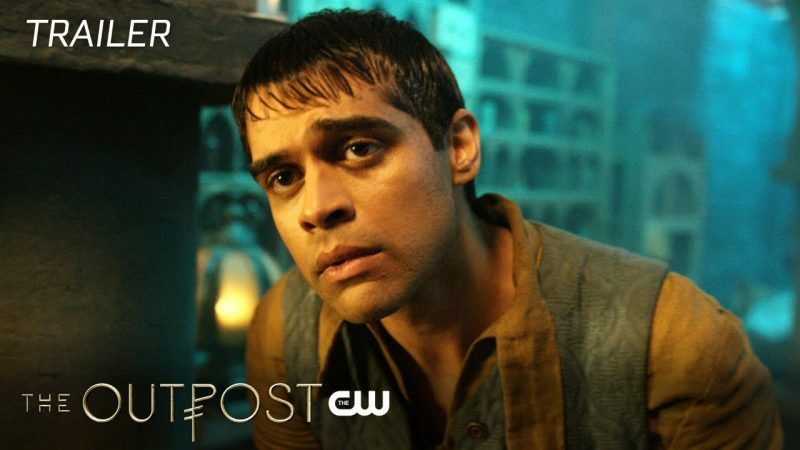 The CW Network released a brand new trailer from their fantasy-adventures series The Outpost. Make sure you check out the trailer in the player below and let us know what you think. The Outpost follows Talon (Jessica Green, Ash vs Evil Dead), the lone survivor of a race called “Blackbloods.” Years after her entire village is destroyed by a gang of brutal mercenaries, Talon travels to a lawless fortress on the edge of the civilized world, as she tracks the killers of her family. On her journey to this outpost, Talon discovers she possesses a mysterious supernatural power that she must learn to control in order to save herself, and defend the world against a fanatical religious dictator. The Outpost also stars Jake Stormoen (Extinct, Mythica), Imogen Waterhouse (Nocturnal Animals, Braid) Andrew Howard (Hatfields and McCoys, Hell on Wheels), Anand Desai-Barochia (Emmerdale, Lake Mead) and Robyn Malcolm (Top of the Lake, Hostiles). Electric Entertainment and Arrowstorm Entertainment executive producers Dean Devlin (Stargate, The Librarians), Jonathan Glassner (Stargate SG-1) and Jason Faller and Kynan Griffin created the series. In addition to Devlin and Glassner, The Outpost is executive produced by Electric Entertainment’s team of Marc Roskin and Rachel Olschan-Wilson. Jennifer Griffin of Arrowstorm Entertainment is also producing. The deal was brokered by Steve Saltman, the newly appointed Head of Domestic Sales for Electric Entertainmet. Electric is the worldwide sales agent on the series that will also air on SyFy channels outside the U.S. The Outpost will be back on Tuesday, September 11 at 9 PM EST on The CW. The post The Outpost Season Finale Trailer Goes Beyond the Wall appeared first on ComingSoon.net.